Your Collection reveals your personality, and it deserves more than just an occasional peep. Enjoy your Collection every day within a mirror Curio. 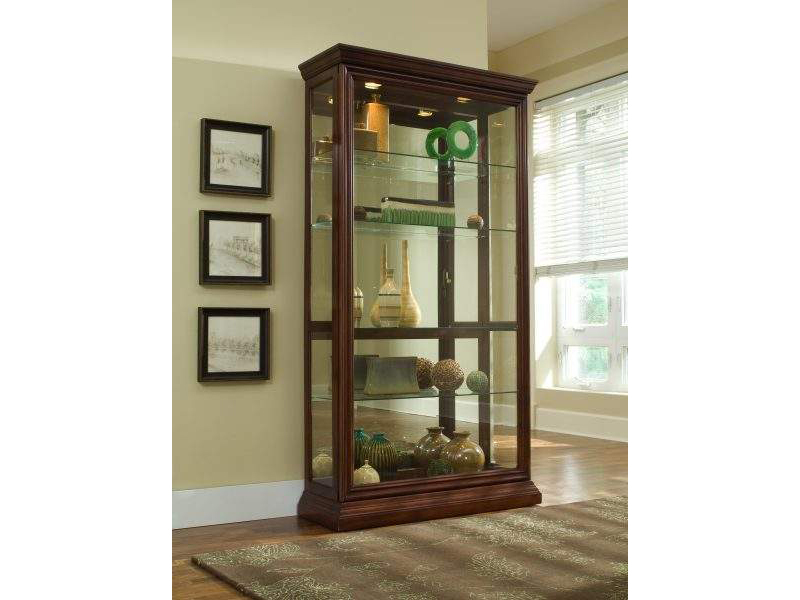 Our tall Curio is built in select hardwood solids and Veneers. The medium brown Eden House finish and classic framed moldings will complement any decor. Our Curio has a two-way felt-lined sliding door with lock, So you can easily adjust your display. It features a mirrored back, halogen lighting, adjustable glass shelves, and adjustable glides for leveling.